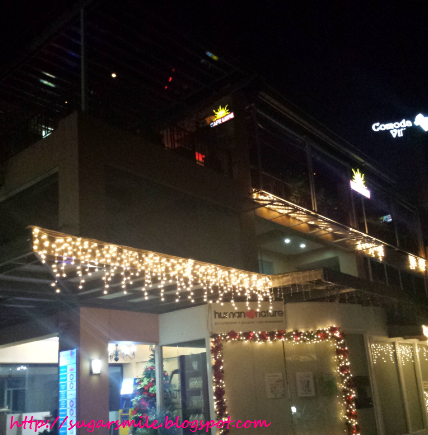 Everytime I go to Antipolo, I can't help but fall in love with the bright lights around it. I just can't remember leaving it on a daytime, because I don't wanna miss its sparkle. 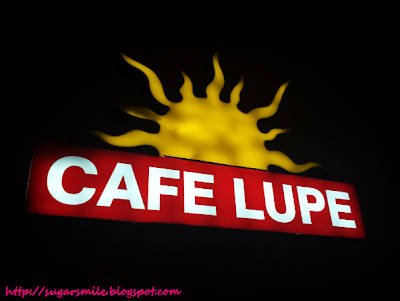 It's like a different world out there, and I'm just thankful that The Road Trippers spent their Christmas Get Together at Cafe Lupe, where there are lights, fun, food and gifts. Cafe Lupe is located at 267-269 Comoda Ville Inc., Don Juan Sumulong Ave., Valley Golf, Brgy. Mambugan, Antipolo. 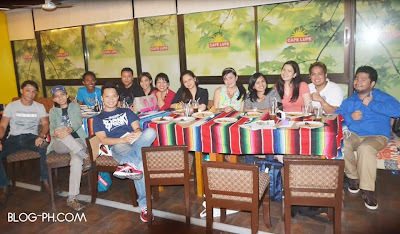 Its owner, Mr. Alvin Carranza, generously opened its doors for our group to hold a simple get together. 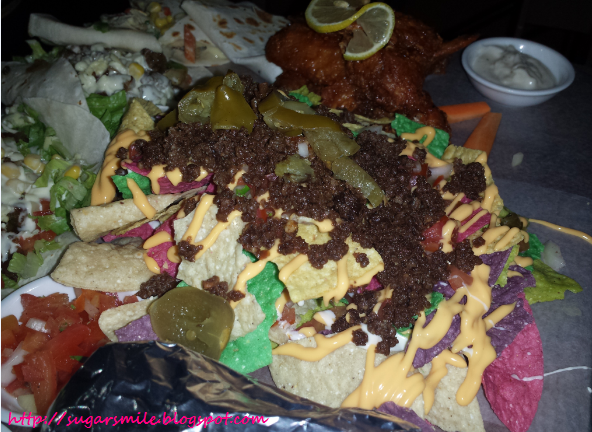 But before I tell you the details on how our fun party went, Cafe Lupe is a restaurant that specializes in Mexican, Filipino and Bacolod dishes. There is a function room, where you can hold intimate parties, or you can sit outside and hear really good music from the performers. Thanks to Mr. Carranza, we all got Christmas gifts for everyone! A raffle was also held from different sponsors from the blogger friends. Anne and I got the grand prizes, with her winning a Eurotel accommodation, and I, a power bank from Kuya Bong. 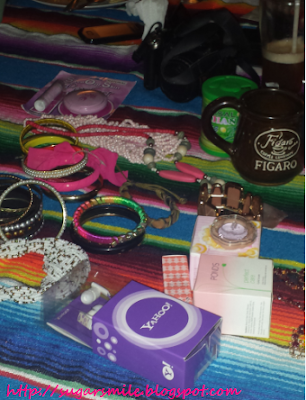 Aylin also raffled off accessories from Classiore. After our gift giving, we enjoyed the acoustic night from the performers and got full from the sumptuous food that we ordered from their wide ranged menu. 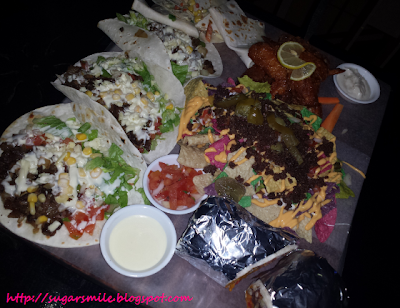 We ordered the Mexican Party Platter (Php1,500), a combination of nachos, burritos, buffalo chicken. 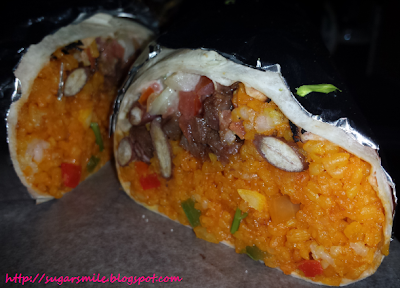 I loved how colorful it is and being a fan of Mexican food, this one is great to consume for group parties. Plus, you can always choose what you would like to eat and savor your favorite. Can this picture show you how crunchy and yummy these are? 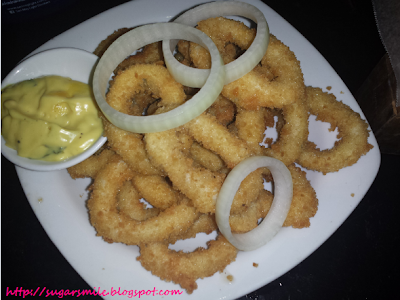 We also ordered the Calamares Fritos (Php375) and it is perfect for our drinks. A bucket of beer (Php350) goes well with their menu. 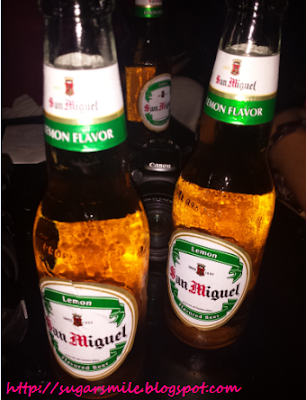 Add music and friends with you, and you'll surely have the best night ever. 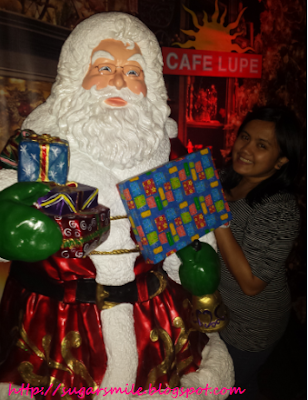 Cafe Lupe is open from 8:00 am to 2:00 am from Monday to Sunday. I think their flexible schedule won't let you have an excuse not to come and visit. Now that I've finally seen a great dining place in Antipolo with Cafe Lupe, I'm definitely coming back for more of their dishes, the sights, and even the sound. Thank you JayL for the photo! As for The Road Trippers, 2013 has been a good year. I'm so excited of our upcoming plans for next year. Merry Christmas blogger/traveling friends! Here's hoping to share more trips with you.